On the 7th of March 2012, on the occasion of International Women’s Day M Premiere prepared a special gift to all ladies and staged the performance of Legendary Engelbert Humperdinck live at Madinat Jumeirah in Dubai. Engelbert Humperdinck is one of the most celebrated artists in the history of romantic ballads. Romance serves as the core of Engelbert Humperdinck’s music and lasting success during 45 years. He knows how to pick songs with eternal themes of love and longing, and lovers always want to hear them sung. He has sold more than 150 million records, has 4 Grammy nominations, 63 gold and 24 platinum records and a star on the Hollywood Walk of Fame and a star on Las Vegas Walk of Stars. 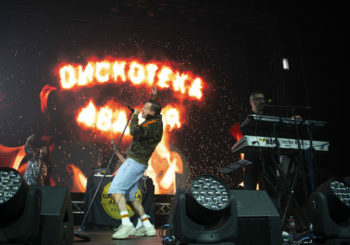 In 2011 the artist had been actively performing and was giving concerts in the most famous venues in Russia, United Kingdom, Israel, Holland, Belguim, Romania and many other countries. His performance in Dubai was one of the most elegant and the most exclusive events of this year so far. Guests of the event were connoisseurs of world music, government officials, celebrities, representatives of high-class society. Morozov Quartet opened welcome cocktail reception performing romantic melodies of Johann Strauss, Mozart, and many other famous composers. Honored guests of the evening were invited to partake in the spellbinding waltz performed by professional dancers. 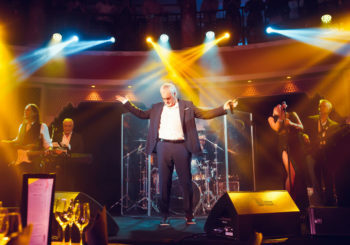 Guests were transformed back in time of elegance and romance of the memorable late 60’s, 70’s and 80’s, years of Engelbert Humperdinck’s tremendous success. Gentlemen in bow tie and ladies in elegant ball gowns had an opportunity to join professional dancers who showed dance techniques of favorite Viennese waltz, tango and foxtrot. Engelbert Humperdinck was warmly greeted by the admirers of his talent and true melomanes. 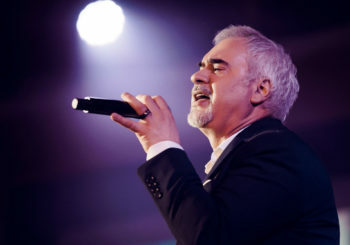 With his unique charisma and magical voice, he granted Dubai a two-hour performance, during which he performed his famous hits such as “Quando, Quando,” “Am I That Easy to Forget”, and many other. Performance of “My Funny Valentine” duet with Evgeniy Morozov (violin) became a pleasant surprise for all guests and for the artist himself. Engelbert Humperdinck said that this was his first improvisation of such kind and that he was truly impressed by such an impromptu. The artist admitted that he will cherish it in his memory for the rest of his life. King of Romance made this evening unforgettable for thousands of guests who attended his concert that night. 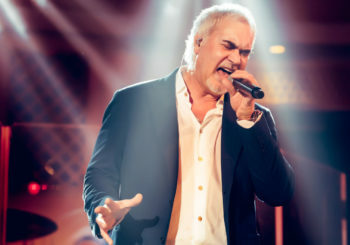 We wish Engelbert Humperdinck success and victory in Eurovision contest!